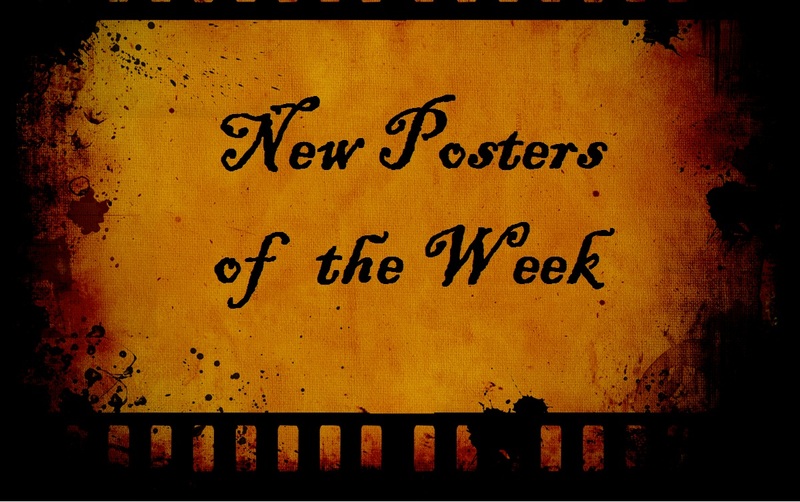 Several posters of note since last we looked at the new posters. In addition to the 3-poster banner for The Amazing Spider-Man 2, several others stand out for both good and not-so-good reason. The Jack Ryan: Shadow Recruit poster sadly uses the staple Keira Knightley open mouth stare and a disproportionate head atop her shoulders, and the use of the maze shadow was better in a previous poster. Island of Lemurs makes me smile, more so than Rio 2. Many others this week, however, were pretty solid and amazing. Starting with Tracks. I have NO idea what that is about but I like the poster. Godzilla continues to impress me after the great teaser trailer this poster, inspired by the trailer, still only teases the infamous monster and still manages to show the scale of destruction and terror to be had. Another favorite poster of mine is Earth to Echo. Simply beautiful. My faves of the week: The Hobbit: The Desolation of Smaug, Godzilla and Tracks. An interesting mix this week, I’m also confused by this version of Shadow Recruit, it just feels so static. Both Costner and Pine look like they’re just about ready to start doing something, but in a very mellow way. And while I agree with you about Tracks, I had a very similar reaction to Earth to Echo and was drawn to that one more so. I never got around to the first Rio and this poster doesn’t do anything to make me interested in what looks like a typical fish out of water family mishap comedy. While I’m not so much drawn to this poster of Edge of Tomorrow, I did catch the trailer and love me a good time loop story. The Hobbit poster is really a sight to behold, showing the scale of the dragon, the insignificant size of Bilbo, and even has the pillars on the edge bowed to look slightly like claws and also like they are closing in around him, a very well designed piece. I also like the triple poster for Amazing Spider-Man 2, which makes nice use of TV screens to include enough in each one to feel complete while not making the whole picture feel too redundant. 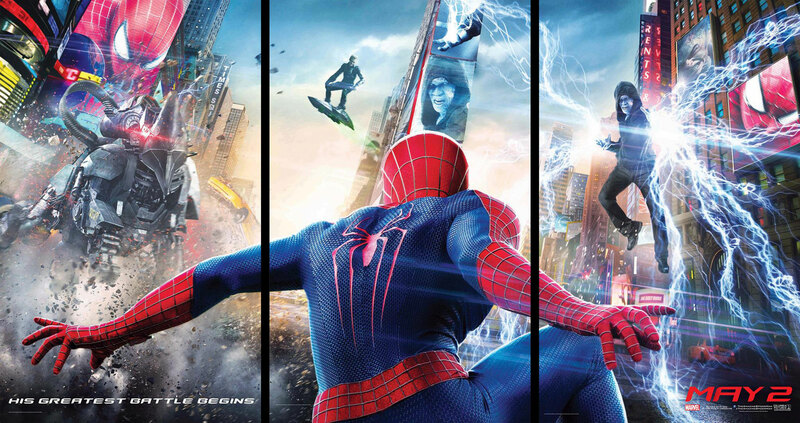 I’m pretty sure I really like the idea of splitting up the Amazing Spider-Man 2 poster into three different parts. I don’t know why, but it just speaks to me more than just having a non-stop barrage of visuals thrown at me. Personally I’m pretty stoked about Godzilla, that poster is just badass. Tracks seems interesting, I don’t know anything about that either, in fact that’s the first I’ve even heard of it. Also, really excited about the Wolf of Wall Street, even tho the poster isn’t all that original. still is conjuring up images of all the fun we might be about to have with that one. I’m curious to see how a HALO (High Altitude. Low Opening) parachute jump can be used to kill not some guy in a rubber suit? I like the split Spider Man poster. It looks like they finally got The Green Goblin right. Because Willem Dafoe’s first attempt was God awful!